Getting some practice in Belize is easy. WITH OVER 150 MILES of passages mapped, Belize has the biggest cave system in Central America and one of the biggest in the world. In the past 100 years, between 300 and 350 caves were documented, with 200 of them being Maya archeological sites. The Mayas used caves for at least 1,500 years – from the late classic to the early post classic period. They were used as a source of drinking water, a place for religious rituals, ceremonial and sacrificial offerings, and soil fertility. Known as Xibalba, caves served as the abode of powerful and capricious gods, and were places of creation and end. In addition, caves also represented the entrance to the underworld. Today, travelers rarely visit most of these caves, even though they are not off limits and don’t require any training for their leisurely exploration. I had the opportunity to explore various caves in the Toledo District with Bruno Kuppinger, the only Trained Cave Leader in Toledo and owner of Toledo Cave and Adventure Tours. Here are his 8 tips that will help you cave in a proper and safe way. 1. When you start thinking of caving, define for yourself whether you want to do a wet cave or a dry cave. Wet caves are flooded caves where rivers continuously flow during the wet season. In many cases, swimming is required inside and outside the cave. A dry cave, on the other hand, does not require swimming. No river flows through them, though there might be the presence of underground pools. 2. Be in a good physical condition. Having good balance and coordination is helpful because you will be walking on muddy paths and stepping on slippery rocks. 3. Make sure you have a licensed tour guide working with a licensed tour operator. Feel comfortable with your guide. Ask if they have a logbook for the cave to be visited and how many times they’ve been there. Does he or she know the trail? 4. Have the right equipment. It is imperative that you wear a helmet, headlamp, spare headlamp, and spare batteries. If you are venturing into more advanced caving, you could wear gloves and kneepads. 5. Don’t jump into the water; you don’t know what’s there. It can be dangerous as rock formations can be hidden in the dark waters. (a) Belize caves where used by Maya as ceremonial places. 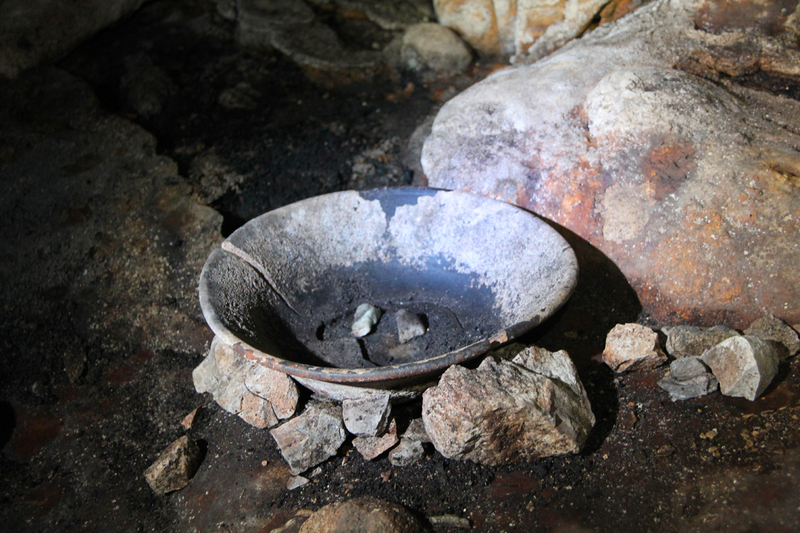 Artifacts and cave formations (stalactites, stalagmites, curtains, flow stones) should not be touched or manipulated. (b) Wear proper clothing, like: hiking boots, long pants, and t-shirts (preferably long sleeved shirts). (c) Stay in the same path that you came in, so you don’t damage too many things. Always follow the guide and stay on the safe side. (a) Go in groups of 3 people minimum. (b) Always tell 3 people where you are going and when you are coming out of the cave. (c) Always have 3 light sources. (ie. headlamp, backup headlamp, keyholder light source). (d) Always have 3 points of contact (a secured grip with a hand and two feet, or any other combination) when climbing or going down on rocks. 8. Have as little impact as possible. For example, no smoking in caves, no disturbing the bats or other organisms, and no littering or throwing food on the floor. 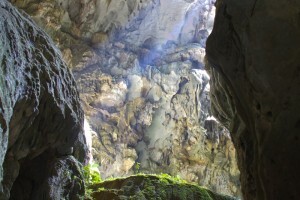 The purpose of caving is to enjoy their underground beauty and heritage in their intact form. 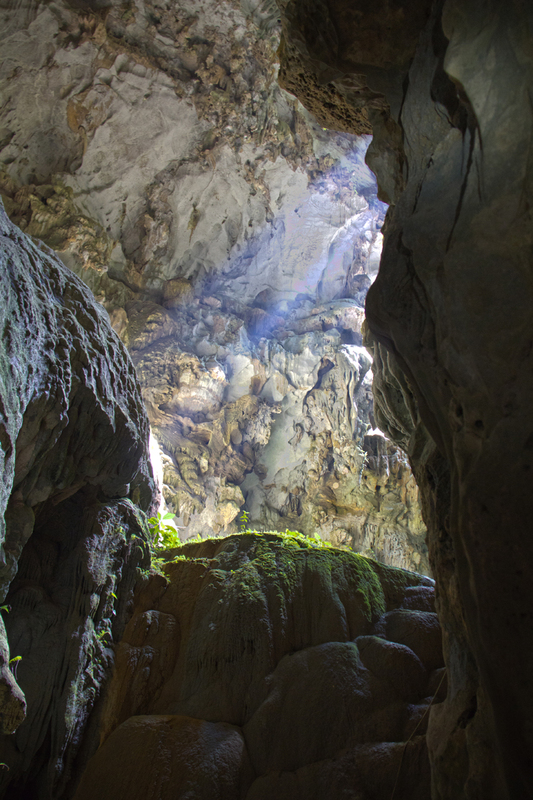 THESE BASIC TIPS can help you not only to conserve the cave’s environmental quality for future generations but they also help to enjoy the adventurous side of cave explorations. Obviously, these tips do apply to caving all around the world, not just in Belize.